The Eagle Cleaning launched a new campaign to attract a high-end clientele of business owners in need of industrial level cleaning services. With high-impact accounts such as the 99 Restaurant chain, The Eagle Cleaning was in need of a rebranding that would match its quality services. 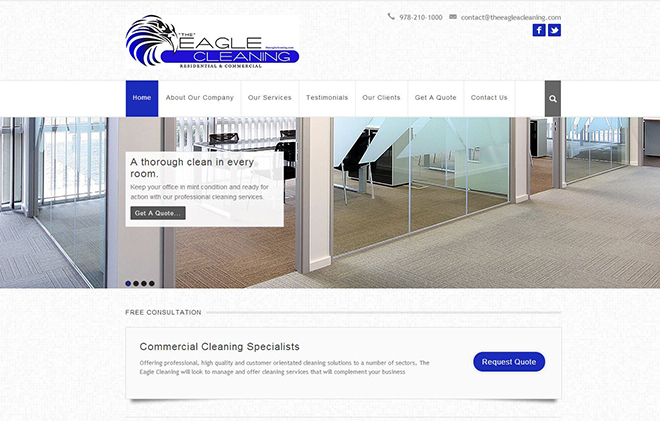 ALX creating a dynamic new website for The Eagle Cleaning, including content creation for each individual service, a testimonials page to show off their impressive client list, and a full-width slideshow indicating the cleaning services offered. The Eagle Cleaning already had a logo from a previous business endeavor that needed to be upgraded. 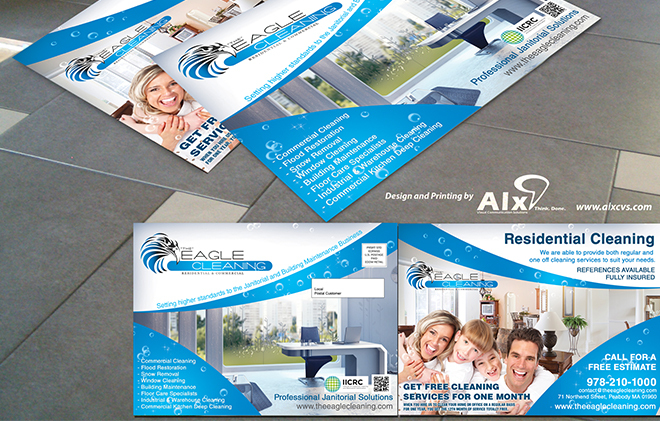 ALX successfully incorporated Eagle Cleaning’s preferred logo into their new marketing materials, with some extra flair to better represent attention to detail throughout the company’s services. To match the sleek new logo and website, The Eagle Cleaning needed new, professional business cards for a great first impression. 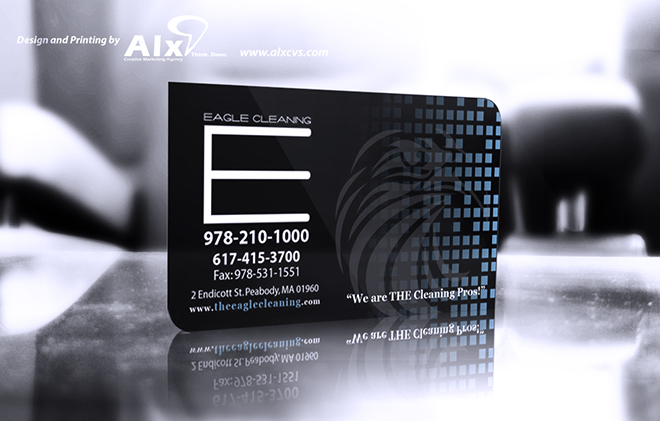 ALX designed and printed impressive new business cards for Eagle Cleaning on heavy weight stock paper with beautiful UV spot coating. These business cards are printed to last, so the quality will remain the same years from when they were first delivered. The Eagle Cleaning has reported amazing success with their EDDM campaign. ALX designed and printed beautiful, glossy door-to-door mailers that deserve the second glances they were given. ALX helped The Eagle Cleaning target specific high-end neighborhoods and dense commercial areas that would be the most benefited from their services. While on the road reporting to job locations, The Eagle Cleaning fleet of vehicles now function as mobile billboards for the company. ALX designed, printed, and installed a full vinyl car detail that is highly legible from a distance, attractive, and professional. The Eagle Cleaning needed assistance in making the best first impression to new clients. ALX designed and printed sell sheets and folders to be distributed on quote-calls so potential clients have a great information package to refer to when deciding between cleaning services.